A delicate vine print blossoms on this sleeveless button-down top. A delicate vine print blossoms on this sleeveless button-down top. 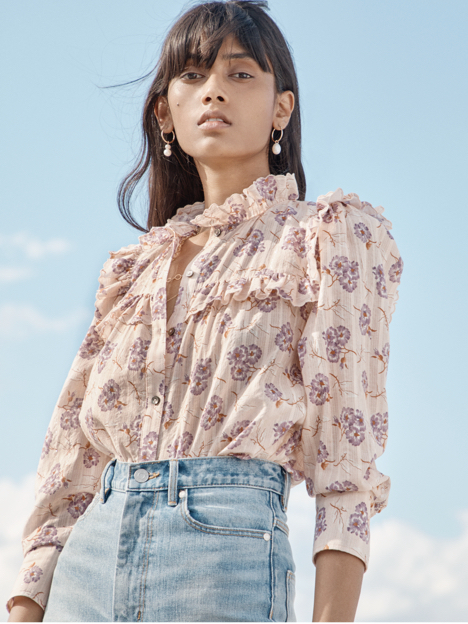 Crafted from chiffon and trimmed with ruffles, this style blouse charms on its own or layered underneath a tailored jacket.